It’s inevitable, given the size of their populations and shared status as emerging economic powerhouses, that India and China are compared so closely. While the explosion of China’s golf industry during the 1990s and first few years of the 21st century was heard around the world, India’s was only slightly less audible. The country, long obsessed with cricket and, to a much lesser extent, field hockey and squash, suddenly began building lots of golf courses as the world golf boom escalated, its middle-class grew rapidly (50million households by 2015 according to an HSBC report), and a number of homegrown professionals – most notably Jeev Milka Singh and Arjun Atwal (also Daniel Chopra, a Swedish national but whose father is Indian and who was raised in India) – began winning on the European and PGA Tours, and playing in the majors and WGC events. Of course, by ‘lots of’ golf courses, I mean a sharp increase on the previous number. There are still fewer than 200 total which, in a country six times the size of Texas and with four times as many people as the whole of the United States, really isn’t that many especially when you consider how many people there now want to play the game. The head of the Indian Golf Union, former army general Abhi Parmar, estimates there has been a 400% increase in the number of people seeking membership of his organization since 2000. What does all this mean for the golf traveler? Should adventurous readers be considering India as a potential destination? I would say not yet perhaps, but add that the situation is definitely worth monitoring. There are some surprisingly good courses, and while the global economic slowdown did stifle course construction some, a handful of new layouts have opened in recent years – Kensville in Ahmedabad designed by K.D. Bagga who went by Colonel Bagga and who was India’s most prolific homegrown architect; 18 holes by Gary Player to add to the original Arnold Palmer course at DLF Country Club in Delhi; Oxford GC in Pune; and two courses in Bangalore. At least ten more are on the drawing board. But there probably won’t be a sufficient number of really good courses on the subcontinent to tempt many across the Atlantic, Mediterranean, Persian Gulf, Arabian Sea, and Indian Ocean for a few years yet. What is undeniable, however, is that everyone should see India at least once in their life, and if they happen to have their golf clubs with them then so much the better. 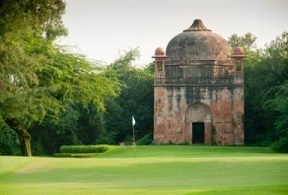 Player, Palmer, Jack Nicklaus, Greg Norman, Robert Trent Jones Jr, and Martin Hawtree have all worked here, and older courses built by the British Raj – Delhi GC and Royal Calcutta, the oldest club in the world outside Britain – obviously have a great deal of history and also a certain charm. Those that do visit this country of over 1.2billion souls have their own reasons for going, be it to sample the amazing (and sometimes dangerously spicy) food, participate in humanitarian projects, study the country’s impossibly complex religions, check out incredible architecture (Taj Mahal, the Pink City of Jaipur, etc.) or broaden their horizons, gain a wider perspective, and confirm just how fortunate they are to live where they do. If and when you make it there, I’m guessing you won’t like a lot of it. You’ll be captivated, intrigued, and thrilled some of the time, but shocked, stunned, and appalled the rest of it. Technically, of course, India is on Planet Earth. It just doesn’t feel that way sometimes.